If your planning on mitigating expenses on your home then a home warranty plan is your best bet. This is because home expenses on repair, replacement, security, and improvement can be quite expensive. That being said, home maintenance can cost thousands of dollars in case you have an old home with aging appliances and systems. You would never really know when something would break down and this could be alarming if these systems are extremely important to make your home livable. A simple example would be if your heating system failed and you were living in the heights of winter or your refrigerator broke down and your food supplies were getting bad. If any of your household appliances or systems break down, then you would have to pay top dollar just to cover the basic expenses. This includes getting a technician, paying for the technician’s services, paying for repair and at the worst case scenario paying for the replacement. This can be very expensive unless you choose a top home warranty company to service your home and keep them running well. If your refrigerator stopped working then you can be set back to a tune of $2,000 or more if the motor needs to be replaced. LED TVs have a repair that ranges between $1500 to $3000 based on the size of the panel. Ovens have problems where the surface heating units need repair and that can cost $1200 to repair the thermostat. Washer and Dryers have problems with the heater coils, motors, water valves and inverters and costs can range between $120 to $400. Dishwashers too can have breakdowns based on the heater, hinges, door gasket and main motor and could cost $200 or more to repair. Air Conditioners have a certain amount of shelf life and repairs usually cost more than what the average home can afford. HVACs can cost up to $1100 to keep the unit running in top notch condition. This means that if you do not have a manufacturer’s warranty then a home warranty is a must. There are thousands of certified technicians that are out there to service your home appliances and systems with a home warranty. This cuts out the nightmare of having to wait for your plumber, electrician or technician that you spent weeks to source on your own. The best part about signing up for a home warranty is that the technicians take time to explain to the family what the problem is and how to minimize a similar problem in future. The best part of owning a home warranty is that you can register with a technician almost immediately. American Home Shield and Select Home Warranty have 48,000 and 40,000 technicians in their network at any point in time. All you need to do is pay for the service call and they will be there to attend to your repairs. This means that you do not have to wait for service or having to go through the phone book or the internet to call different technicians. Also, you would not have to check with multiple sources for pricing, get quotes and find out if they are available at a convenient time. What if the technician is not available at a reasonable time? You would have to then work around his whims and fancies. But with a home warranty plan, the customer service team would help schedule an appointment and send you the right service technician straight away. There are times where the technician can simply take you for a ride and expect the moon. He would label certain services as extra charge and there would be hidden fees or you would see a drastic inflation from the original price. 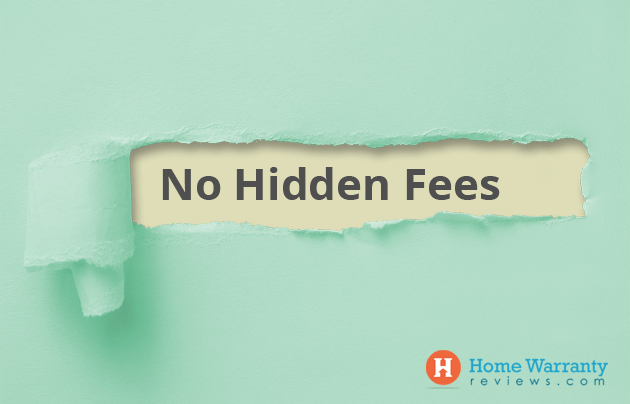 If you are unaware of these small hidden service fees then you should probably switch over to a home warranty and stay head and shoulders above any of these cost occurrences that prop up. Given the fact that you are not the kind of person that is willing to bet your entire savings on the fact that your home will run without a glitch, then a home warranty will come in handy. 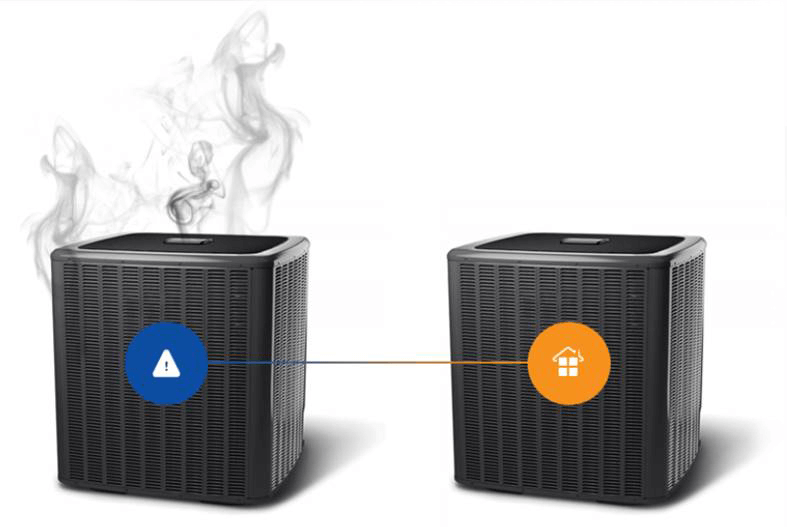 You might enjoy the rush of moving into your new home but what if your systems and appliances run into thousands of dollars in repair. This could be one of many systems or appliance problems. Why risk it? A home warranty can be your friend in your hour of need! Just imagine having your shower in cold water as the geyser is not working or layering up at home as your HVAC is problematic. What would you do if your fridge stops working? Would you let your food rot? With a home warranty, you won’t have to worry about a thing. You can never be a 100% certain that your fridge, air-conditioner, washing machine, television, swimming pool, water pipes and other systems and appliances stay intact. Then probably you need a home warranty to secure and protect these systems and keep them repaired all year round. Regardless of whether you are selling your home, it is a great marketing tool for potential buyers. It adds a significant amount of value to your home and both you the seller and the buyer are protected from faulty appliances and systems. This means that as a seller you would not have the burden of having to spend a minimum of $3000 on maintenance and repair but you can check with your home warranty company to fix most issues. Also, as a buyer, you wouldn’t have to fight with your seller to fix things as you can engage with your home warranty and stay protected for a year since the purchase of the policy. As a homeowner, you would not have to worry about whether an appliance breaks down. You can enjoy a stress-free lifestyle and you will know that it will not burn a hole in your pocket. This way all your appliances are covered and you would not have to worry if a single unit fails or have to bother about having to foot the bill in case anything goes wrong. Home Warranties complement standard homeowner’s insurance. Usually, a homeowner’s insurance covers damage, unlike a home warranty that covers essential systems and home appliances that break down due to wear and tear. This would usually not fall under a homeowners’ insurance policy. Though you can choose to substitute a home insurance, it is mandatory to have a home warranty to ensure that your home appliances are well protected. There are several times that plumbing, electrical work, fixing appliances or the HVAC system could cost you. Some technicians and contractors charge a service fee just to come to your home. Additionally, you have to pay them for repair and replace all out-of-pocket expenses. With a home warranty, you will get a comprehensive coverage that can be affordable to all. An annual plan will cost you anywhere between $300 to $600+ a year based on the company and the service request could cost you $50 to $125 per call. For starters, a $1200 repair on an air-conditioner could be sorted with just a $75 service call. There are several problems faced by customers of home warranty companies. Though it may be easy as pie, you might have to wait for calls to get a technician dispatched to your home. Many a time, claim processing moves at a snail’s pace and this is when they try to prove that your claim is invalid when the costs are high. This should not deter you from getting your due and ensure that you are well looked after. There could be pre-existing conditions where used appliances are not covered. Also, damages caused by lack of maintenance are not covered. To determine what is proper maintenance can be difficult to ascertain. Some warranty companies may use improper clauses to deny valid claims. You could also have a contractor that simply denies service. The problem of whether there were problems before the home warranty is questionable. 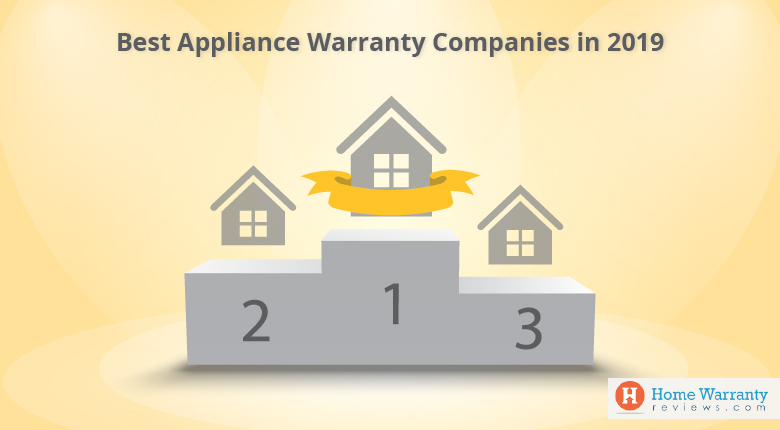 Home Warranties choose not to cover appliances where there were previous issues that were not tended to earlier. 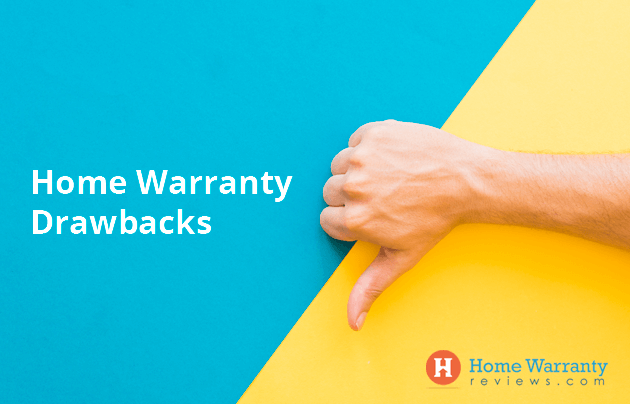 The selling point of a home warranty is that they are considerably inexpensive but there are many years where you will find that nothing breaks down and the homeowner gets nothing but has to pay the premium. Also, if a homeowner tries to use the warranty and its denied then the money spent on the call fee is wasted. Some home warranties do not give you the freedom to choose your contractors. Even if you dislike the contractor, you would be stuck with them. Similarly, the homeowner would have no say in what model or brand would be given to them in terms of replacement components. Tools: If you need to determine the best tools to determine which one you should choose. Use the Home Maintenance Calculator to help you be the judge between whether you are better off footing the bill for appliance and system maintenance. Opt for the Complaint Resolution Program so that when you get a home warranty, your claims are met with a befitting answer. This will help you get the most of your home warranty. 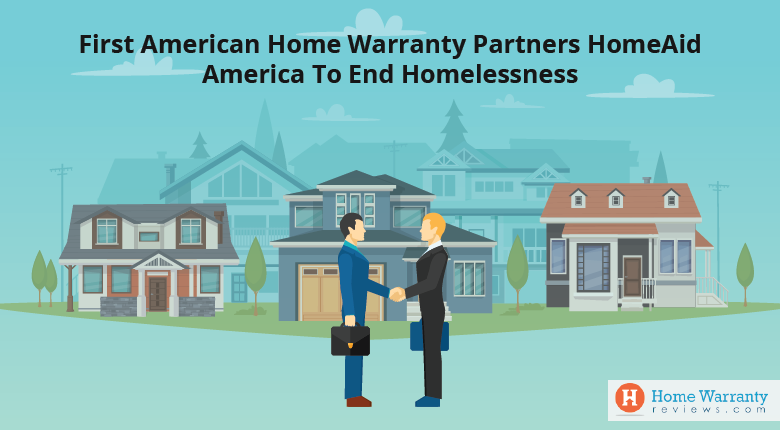 On this platform, once a complaint is made, the home warranty company is given 30 days to resolve the issue before the complaint goes public. Reviews: Isn’t it great to learn about a home warranty by visiting the company profile pages. This way you can learn about what home warranty subscribers think about their home warranty company. 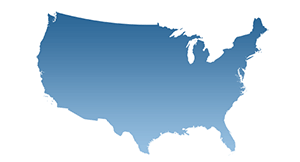 Scroll down to these company pages and read reviews from people just like you across the US. Here you can learn first hand from people that have experienced a good or bad service and get their expert opinion on home warranties. You can also use this to be the better judge of whether you should go ahead with a particular home warranty company in your region. Ratings: As one of the top rating review sites of consumer research on home warranties, you can determine the best company to choose based on their ratings from people across the US. Remember that some companies have gone out of business and you should learn how to pick the right ones. Pricing: One of the most decisive factors when choosing a home warranty is to figure out the pricing. While some choose relatively cheaper plans, other choose plans that will be reasonable and have a lower service charge fee. This means that plans range between $300 to $600+ and service fees could be between $50 to $125. 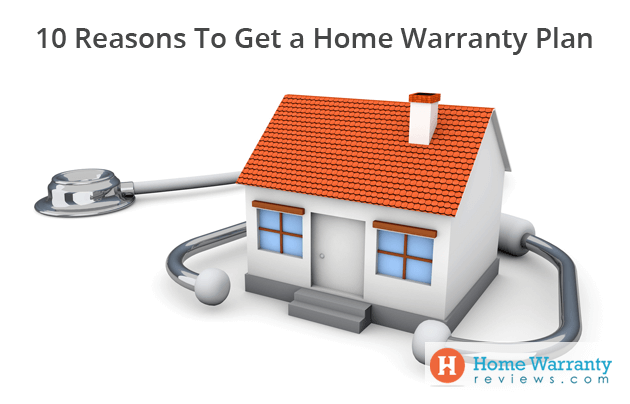 Now that you know the reasons behind a home warranty, you should opt for one soon. This way you can increase your savings instead of spending top dollar. Similarly, convenience and peace of mind are sure to keep you happy and your home well looked after. Find a home warranty plan that fits the bill and ensures that you stay protected all year round. If you have any questions, feel free to reach out to us in the comment section.